This year marks the 10th Anniversary edition of the Hobie Multi-European Championships. With a little less than 5 month prior to the beginning of this year’s biggest Hobie regatta, already the number of early entries are setting new records with over 50 entries coming from 11 different nations in the most popular Hobie 16 Class. 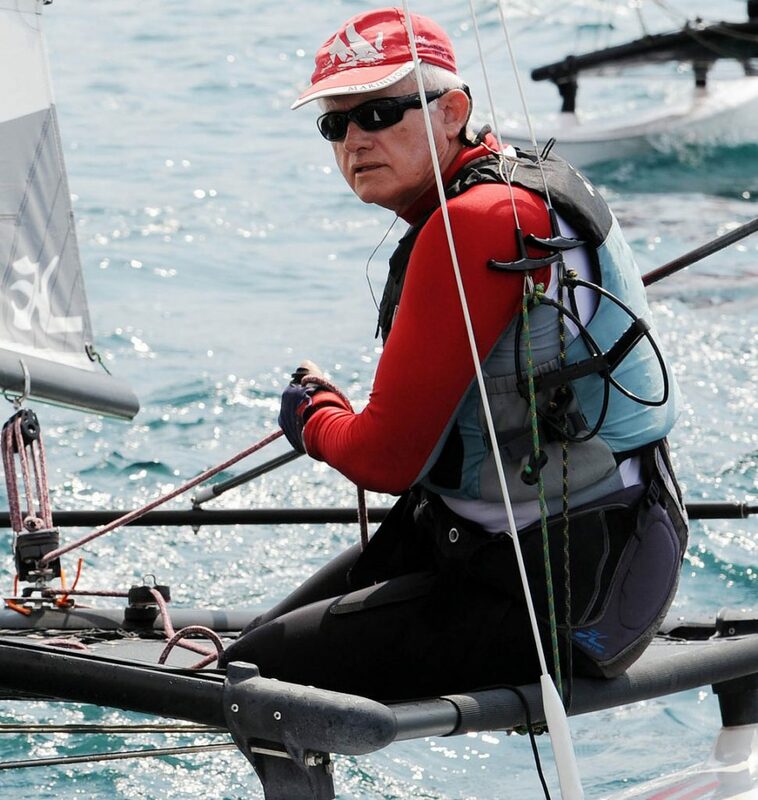 One of the first sailors to sign up for the Hobie 2018 MultiEuropeans in Hornbaek-Denmark, was John Ryall. This is a testimony from a true Hobie sailor from CapeTown,South Africa. Hi John, when did you start the Hobie life ? I started sailing when I was 14 after we moved to Cape Town. My Dad was a sea Captain with his Master’s ticket in sail so I always wanted to sail. After sailing dinghy’s, including Fireballs and participating in several World Championships around the world, I switched to Hobies in 1990 when dinghy class numbers declined in South Africa. 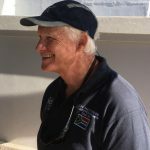 The 1992 Hobie World Championships held at club Mykonos in Langebaan were a great impetus and I have really enjoyed sailing Hobie 16’s since then. Why the Hobie 14 ? In 2011 my younger son Nicholas started sailing 14’s and I bought a 14 for the first time to sail against him. We came to the European Championships in Travemunde in 2013 sailing 14’s, we were back in Italy at Lake Garda in 2015 sailing both 14’s and 16’s and both of us participated again in Noordwijk in 2017 in both classes. What makes you come back to the Europeans ? The main reason for coming to the Hobie Multi-European & World Championships is that you get to sail in every race and I wanted give my son Nicholas the opportunity for some international competition in big fleets. If you sail in the 16 Worlds it is quite likely that you may only sail a couple of races and go home early. For example I sailed in the 1996 Dubai world’s and failed to qualify even with a 2nd, a 5th and a 25th in the qualifying rounds. The fleets in South Africa are currently quite small and you know in advance that either a Dodds or Edwards is likely to win so sailing in a bigger fleet against different sailors sharpens your game. Realistically I am unlikely to set the world alight sailing a 14 but Nic is sailing well at the moment. The organization at the Multi-Worlds that we have attended have all been very impressive and of a very high standard as well as the depth in numbers of people prepared to help are much more than here. Of course it is also good to see old Hobie friends again and make new ones. What made you decide to come to Hornbaek, Denmark ? I have always wanted to see Denmark and having Daniel and Nicolai Bjornholt out for our Hobie 16 nationals inspired us to come and sail in Denmark. Have a Hobie day John ! We look forward to see you in Hornbaek and the best wishes for your results ! Another strong fleet is to be expected this year in the Hobie 14 Class that got more and more popular again in recent years due to it’s simple and fun sailing. Since it got requested from several sailors, the EHCA has now also added the Hobie Tigers to participate in the event among Wild Cats. Hobie Cat Europe will provide a limited number of charter boats with priority to overseas sailors. The organisation of the event has secured free camping right on the event site with electricity, Internet Wifi access and sanitary facilities. Sailors and families will be entertained every evening in the big 600 people Hobie tent with DJ or live bands. On the Cut Party evening, local Hobie dealer Flemming Nilsson will be playing with his band which will also attract the local community of Hornbaek. On another important note, please book well in advance your accommodation as this will be the busiest week of the year in Hornbaek and prices will get expensive as we get closer to the event. We look forward to see you all from 20 – 28th July for some great Hobie racing and a fun social program in the beach town of Hornbaek.